Cellphonegate - Did Garry Tonon Actually Have a Phone Tucked Into His Fight shorts? 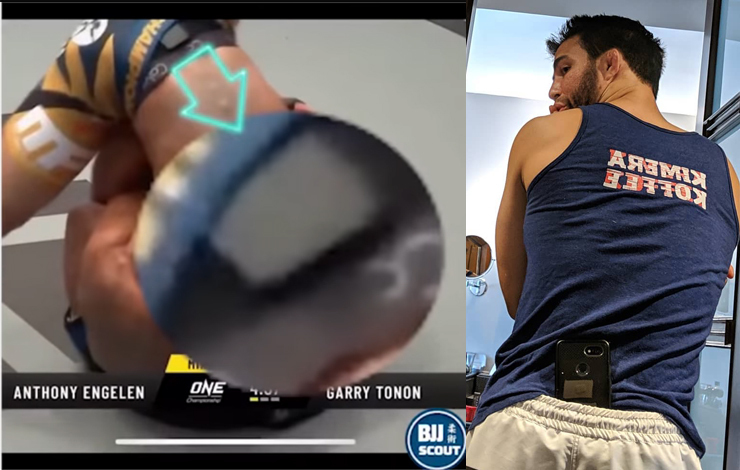 Cellphonegate – Did Garry Tonon Actually Have a Phone Tucked Into His Fight shorts? Apr 10, 2019Iva DjokovicArticlesComments Off on Cellphonegate – Did Garry Tonon Actually Have a Phone Tucked Into His Fight shorts? Even though Tonon initially denied the reports he quickly conceded and explained it was all for his – now ex Japanese paramour. Of course the source video isn’t easy to find thanks to BJJ Scout having his instagram deleted over a dispute with flograppling. (New account can be found here).